The whole nation has been turned on its head for the last week since the passing, and yesterday the funeral, of perhaps the most controversial of all the freedom fighters that South Africa gave birth to. 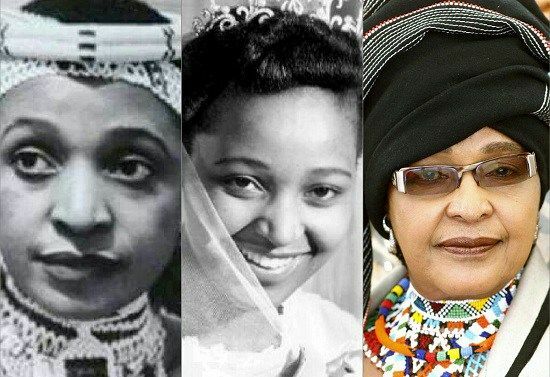 Nomzamo Madikizela, better known as Winnie Madikizela Mandela, was both the shining light in the otherwise total darkness of the 1970s to 1980s and in her prison cell (she still holds the 'record' for the longest official solitary confinement ever) and the shameful darkness when all around her was light and hope in the post 1994 era. Few can cast aspersions on her almost solo struggle to keep the flame alive for all the banned, imprisoned and exiled leaders over the 30 years that her husband and many other highly influential leaders (Namibian, South African and Mozambiquean) endured. Nobody asked her to untake this task. Nobody acknowledged at the time that she was fighting as much against the oppression of the apartheid state as much against the hetero-normative patriarchy that existed all around her and into the upper eschelons of the ANC. It would not be an exaggeration to say that had it not been for Winnie, the ANC might not have remained the unified political force that won the 1994 election and the civil war which the world was convinced would ensue in the early 1990s would almost certainly have started. Perhaps the abuses that Winnie suffered (both at the hands of the apartheid state and her own people) were simply too much for one human to bear. Perhaps what she saw in the liberated South Africa wasn't enough reward for the lifetime of struggle and pain she endured. Perhaps the unrequited anger at the injustices she experienced first-hand, the constant betrayals from her closest allies and the unending violence that surrounded her pretty much all her political life made it inevitable that she too would too see violence and abuse of power as the only way forward. Despite her darker days, she is to many nothing other than the Mother of the Nation, where her husband Nelson was the Father - she's almost a Christ-like figure to so many South Africans, particularly black female South Africans.To others, she remains a scion of a poisoned society, an indicator sample within one individual of what happens when you ceaselessly pour hate and pain on top of more hate and pain. Either way, with her passing, we all feel a sense of loss, the sense of an unfinished story, a sadness not just for her heroism but for her selflessness and how both these laudable aspects of her nature ultimately turned against her from the inside.